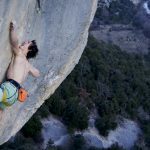 Climbing, BASE Jumping and slack-lining pioneer, Dean Potter, has recently stirred the pot with his his latest film "When Dogs Fly." 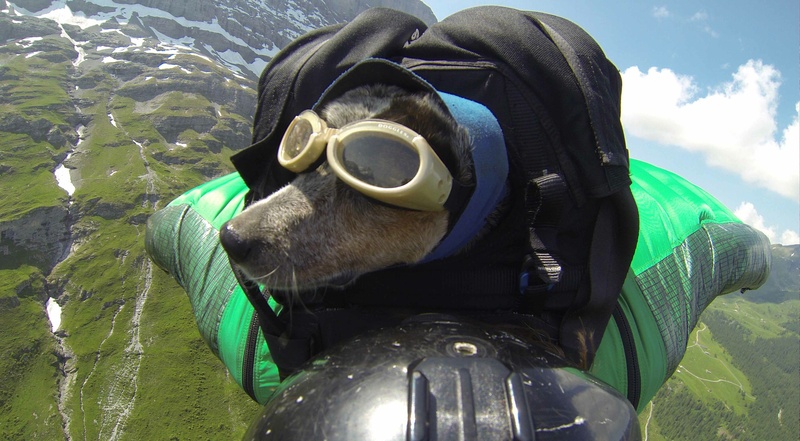 In the film, Potter's dog Whisper becomes the first canine to wingsuit BASE jump. Many opinions on the safety of Whisper have been expressed, so Potter has written his own response on the matter, which you can read below. 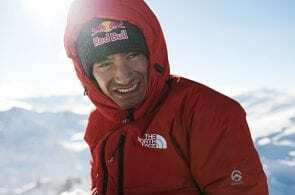 Climbing, BASE Jumping and slack-lining pioneer, Dean Potter, has recently stirred the pot with his his latest film “When Dogs Fly.” In the film, Potter’s dog Whisper becomes the first canine to wingsuit BASE jump. Many opinions about the safety of Whisper have been expressed, so Potter has written his own response on the matter, which you can read below. It’s been great seeing all the interest in my little love bug, Whisper. Right now we are in the town of Telluride with my girlfriend Jen screening our new autobiographical documentary (autodoc) film, When Dogs Fly. Miss Whisp travels everywhere with us. We try to never leave her behind. Whisper is an Australian Cattledog (aka Queensland Heeler) and bred to herd cows by nipping at their heels. The most important thing for our little pipsqueak is to keep her pack together. I’ve noticed most people understand how lucky Whisper is to live such an active life outdoors, together with her family 100% of the time. Much of my inspiration for this was taken from the famous story by, John Muir: Stickeen, The Story of a Dog (1880). Here the renowned adventurer and naturalist goes on several harrowing trips into the mountains in Alaska with his loyal companion, Stickeen. I’ve also noticed that some of our pictures of Miss Whisp make people uneasy and even scared for her safety. I can relate to both ways of thinking and struggle with the same feelings myself. 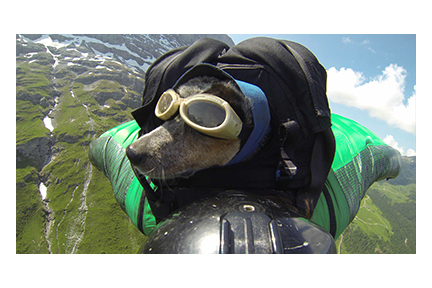 I was intrigued with this article, History of Parachuting Dogs, which dates back to the early 1900’s. Our “best friends” have been following us humans around for as long as we’ve stood on two legs and probably before that. The lives of all creatures in the wild are never a sure thing and I find it odd how disconnected some people are from our symbiotic relationships with all living beings. Origin of the Domestic Dog. Whisper is a Cattledog. She weighs 22-pounds and is bred to tell gigantic cows that weigh over a hundred times more than her what to do. This horrifies me! Lineage of Australian Cattle Dogs. For sure, this isn’t “safe” for dogs but for some reason, Whisper instinctually wants to herd other animals. Dogs do things that aren’t “safe” every day, but society has become used to them: livestock wrangling, assisting the military, helping law enforcement, fighting fires, search and rescue, hunting, driving without seatbelts. Note: Whenever our family drives with Whisper, she’s secured with her full-strength harness and clipped into the seatbelt. Though we recognize this isn’t a perfect fix, we do everything in our power to keep Whispy safe at all times. 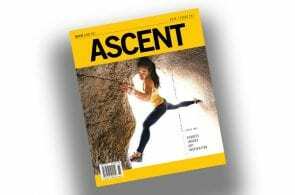 I’ve been pursuing some of the most dangerous arts known to man for the past three decades (Climbing, Linewalking and Human flight). 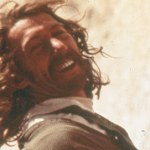 I’ve never suffered serious injury and hope to remain healthy for the entirety of a very long life. Though I realize, some of this is luck, I also realize I have a methodical, well-thought-out strategy and safety system that reduces human error and gear imperfections and keeps us safe. I’ve gained much of this approach of bold yet conservative decision making from the writings of Miyamoto Musashi, especially his Book of Five Rings. Whenever I enter hazardous terrain with Whisper-dog, I secure her with a Ruffwear DoubleBack Harness. This harness is incredibly overbuilt for a 22-pound pup and that makes me feel very confident she will never become disconnected from me and the anchor. The harness is strong enough for a human and exceeds the strength of my own harness that I’ve taken some very long “whippers” (falls) on, like this one on an early free attempt of the Center Tombstone in Moab, Utah. Finally, I want you all to know that I do not force Whisper to do anything she doesn’t want to do. When we wake up in the morning, if Whisper wants to stay at home or camp, she is free to do so. This has never happened though and she always nips and yips at our heels and prods us to hop to it and get going. Last summer when I was wingsuit BASE-jumping with Whisper she never once didn’t want to come along. In fact, whenever I put on my wingsuit or pack my parachute, little Whisper nestles close and begs to come along. In no way do I want others to try to emulate what I do with Whisper without proper knowledge and training! 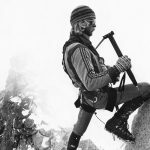 I’ve given my entire life to making the safest gear on the planet and have a unique interest in specialized gear. Before bringing a friend or dog that trusts you with their safety into a dangerous situation, please know the facts and be aware of all the hazards and safety precautions!!
. Each hour they are left in the car or at the house alone is like 7-hours. Each day stranded by themselves, longing to be with their pack, is like 7-days. Please, try your hardest to never leave your best friend behind. Take them with you as much as possible. Their lives’ and well-being are just as important as our own! 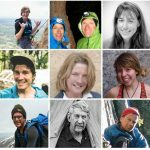 This article was originally published on Dean Potter’s new website www.DeanSPotter.com. 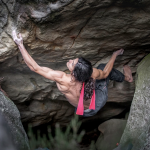 For more about Potter check out the column What I’ve Learned in the current issue of Rock and Ice (No. 219).